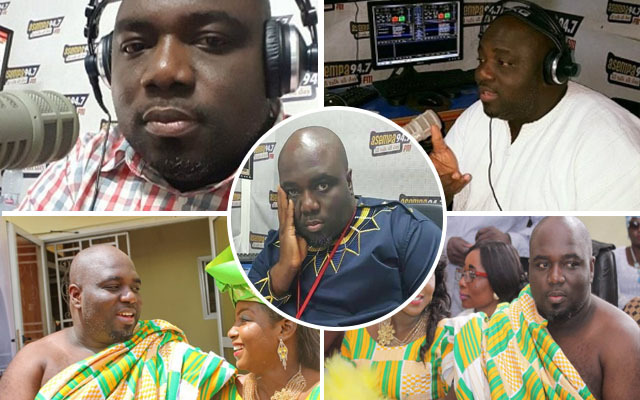 News reaching NsromaMedia.Com from the Korle-Bu Teaching Hospital in Accra indicate that Kwadwo Asare Baffour Acheampong, popularly known as KABA has passed on. The radio icon was rushed to the hospital after his sugar level shot up but unfortunately, he could not make it upon reaching the hospital. Kwadwo Asare Baffour Acheampong before this unfortunate news was the host of Asempa FM’s ‘Ekosi Sen’. He was noted for his many anti-corruption campaigns. He tied the knot somewhere last year with Radio Gold presenter, Valentina Ofori Afriyie. The wedding was held in Santasi, a suburb of Kumasi and it was attended by high-ranking personalities in the radio fraternity including Kwame Sefa-Kayi. What Caused Sugar Level to Go up? It is not for certain in his case but usually, being mentally stressed, angry, or upset also causes more cortisol to circulate in your blood stream, which makes your muscles insulin resistant. Physical stressors like illness or infection can cause similar rises in blood sugar.